Song Zhong Dan Cong Oolong Tea leaves are harvested from old tea trees in Feng Huang Shan. Song Zhong Dan Cong Oolong Tea is the best of Dan Cong breed and is considered a treasure in China. This tea gives a sweet orchid aroma and delicate smooth taste on te throat and mouth. Song Zhong Dan Cong Oolong Tea makes a great cup of tea all day long. The tea has a sweet orchid aroma and very smooth tongue taste. It is less fruitier taste compare to our Honey Orchid Dancong, but it is a more delicate dancong in comparison. 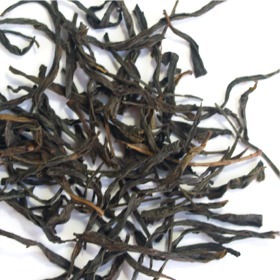 Slightly curled, long dark brown tea leaves. Yield a cup of golden light brown liquor. We recommend using purple clay or porcelain tea ware. Rinse tea cup and teapot with hot water. Fill the teapot 2 - 5 grams (1-5 teaspoons) full with tea leaves for every 225ml of water. Steep tea leaves in hot water at 95°c (203°F) for 1 minute for the first and second brewing. Gradually increase steeping time for subsequent brewing. Where is the aroma ? Flavor ?